Ofcom has released its list of most-complained about telecoms providers, revealing that TalkTalk and Three are the most complained about companies. For landline and broadband services, the report examines BT Retail, BSkyB, TalkTalk Group and Virgin Media. 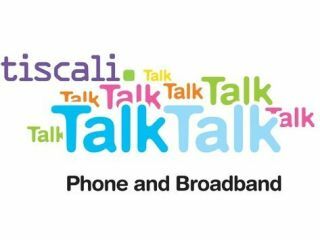 TalkTalk in particular came out of the report badly; from October 2010 to February 2011, 1.7 customers per 1,000 complained about its landline services, while 1.27 complained about their broadband; far more complaints than the other companies received. However, it was a bad period for TalkTalk; the complaints peaked in November last year when it emerged that the company had been billing some customers for services that were already cancelled. We're hoping that TalkTalk will respond to our request for a reaction, but so far the company has been tight-lipped on the matter. Virgin Media takes the prize for being the least complained about provider on both the landline and broadband side. Unsurprisingly, the company was a little more forthcoming than TalkTalk. Neil Berkett, CEO at Virgin Media, said: "Delivering outstanding customer service has been our highest priority and we're pleased to see Ofcom's report demonstrates our approach is generating the right results. "However we are still on an ongoing journey; building an impeccable customer-centric organisation takes time and dedication and we're committed to making Virgin Media the only choice for customers looking for the best products, coupled with the best customer service of any digital entertainment provider in the UK." On the mobile side, O2 customers proved the most contented, while Three received the most complaints; but it's worth noting that, as you can see from the graph below, all mobile phone networks received less than half a complaint per 1,000 customers.